Virtual Private Network (VPN) establishes a secure, encrypted communication tunnel between your local data center and your VPC on HUAWEI CLOUD. With VPN, you can build a flexible and scalable hybrid cloud environment. Huawei-proprietary hardware encrypts data based on IKE and IPsec with carrier-class reliability and ensures VPN connection stability.  With VPN, you can connect your local data center to your VPC and quickly extend services from the data center to the cloud, forming a hybrid cloud. Encrypted IPsec connections over the Internet provide a cost-effective alternative to Direct Connect connections. You can create an easy-to-use VPN connection by specifying parameters on the console and configuring it in your data center. You can use the VPN service to connect your VPC on the cloud to your local data center and add more computing capacity to your network by leveraging the scalability and elasticity of the cloud. A VPN connection between your data center and VPC can be used to easily extend data center services. Encrypted VPN connections are created over the Internet for secure, reliable, and cost-effective communication. Uses Huawei-proprietary hardware devices to establish secure, reliable, and encrypted IPsec tunnels over the Internet. Enables you to extend your local data center into HUAWEI CLOUD, meeting application and service scaling requirements. Allows you to purchase VPN connections on demand. The connections are immediately accessible upon creation. Provides ​an easy-to-use​ web UI for you to configure and manage your VPN connections. Which Remote VPN Devices Are Supported?